911uk.com - Porsche Forum : View topic - 997 gear knob - the top cap (with numbers on!) - buy/referb? 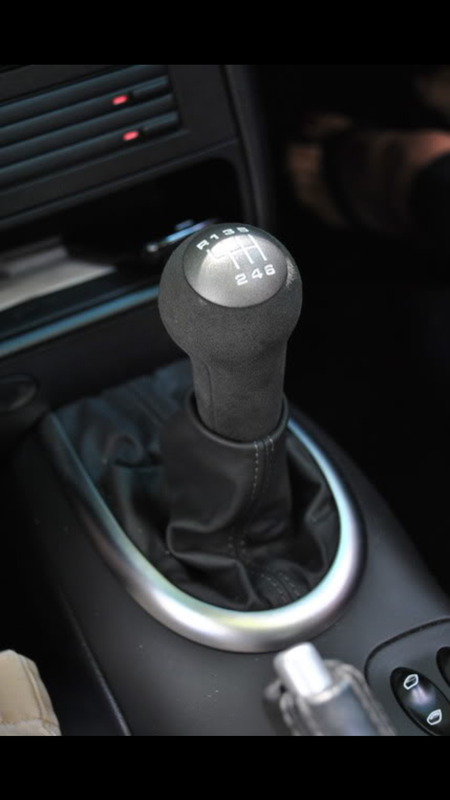 911uk.com Forum Index > 997 (2004 - 2012) > 997 gear knob - the top cap (with numbers on!) - buy/referb? 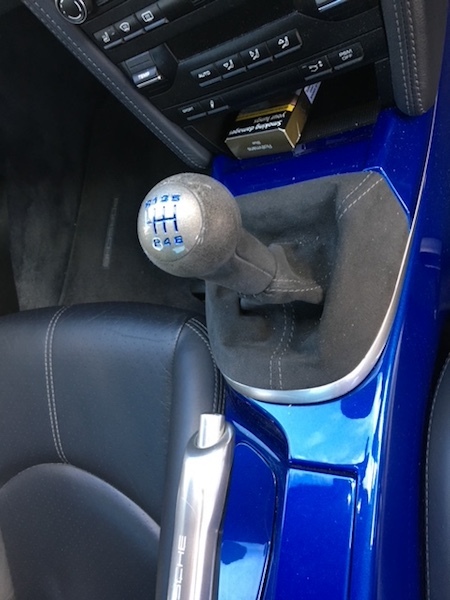 Posted: Thu Jan 17, 2019 12:34 am Post subject: 997 gear knob - the top cap (with numbers on!) - buy/referb? The top cap (part right on the top of the gear knob with the gear numbers / pattern recessed into it) looks a tiny bit tired in my car (and in most I looked at) - has anyone found these for sale separately? (and good quality?). A big part of the motivation is that I love the finish of the gt3 one and as I'm getting some lovely 'royal' alcantara parts installed I'd like the top cap to look the part. Or perhaps has anyone refurbed it themselves? Any tips and advice on what colour might give a close to gt3 match? I removed mine ,the same Alcantara one you have sent the cap to wicked coatings along with a few other bits they custom painted in body colour the gear gauge bit cleaned the rest and re lacquered it. but you could easily DIY it.This was before finding my X97 knob. I would try heating it to soften any glue, and gently prying it off. Spray paint, then lacquer. It will mean the numbers are the same colour as the rest, but I don't think that would matter. I would imagine Jack at Royal could tell you how to remove it as he must do so to retrim.